POPS 2: Downtown, here we come! There are a lot of moments in one’s life that will stick forever. The happiest occasions, when your first niece is born or you bring a puppy home for the first time. The bittersweet moments like flying home from summer camp or graduating from high school (who am I kidding, that felt like pure joy and freedom). Even those harsh moments of worldwide tragedies, as in “where were you when JFK was shot” (I wasn’t born yet, but you get the idea). I say all this to alert you to your surroundings as you read this: where are you? what music’s playing? what’s that delicious/disgusting smell wafting by? Take note. Because this is one of those moments. Pleasant Pops 2 is coming. And it’s coming soon. Hello Downtown DC! We’re so pumped to be opening our second cafe just around the corner from The White House this June! Taking over a space that used to be a wine shop, we’re hard at work reconstructing the store to have a more Pleasant Pops-y vibe. Though the wooden wine racks lining the walls are lovely, we’re tearing them down for some counter space for you to rest your latte on. The front corner of the shop, once a space used to display new wines will now have a built in banquette for you to sit and schmooze on. The exposed brick walls lend themselves beautifully to our rustic aesthetic, and once we install some wood slats throughout the store, the space will scream Pops. Though the space is significantly smaller than our current home in Adams’ Morgan, there’ll be plenty of room for our two favorite things: coffee & pops. Serving a bit of a different crowd, we’re pumped to get to know our new downtown community. Taking up residence in the main floor of The Woodward Building, it’s exciting for us to become a part of people’s homes. With one door opening onto the street and another directly into the apartment building, we look forward to seeing our neighbors on their way out in the morning and returning home at night. Being in the heart of DC’s business zone, it’ll be interesting to start serving larger office buildings; perhaps we’ll see one brave volunteer who’s been sent out to pick up drinks for their office mates (don’t worry, we’ve got drink-carrying-trays). We’re excited to be someone’s mid-morning coffee break, first-stop before finding a food truck for lunch or place to pick up a satisfying pop after a long day at work. 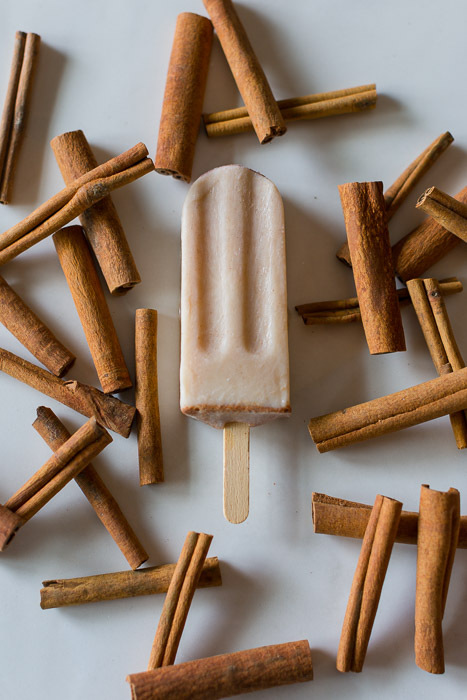 As we do in AdMo, our Pop freezer will always be stocked with the classics (Strawberry Ginger Lemonade, Cookies & Cream, Chongos and Vegan Mexican Chocolate) and a rotating selection of seasonal favorites (Peach Hibiscus, Strawberry Rhubarb, Honeycrisp Apple, etc...) It’ll be easy to arrange a pick up should you feel inclined to treat your entire office to some pops! Our other new genre of customers will be The White House crowd, aka 99% of tourists in DC. Being a quick four minute walk from the North Lawn, it will certainly be interesting to become part of the “American experience” so many folks are looking for in DC. As an independent coffee shop in an otherwise Starbucks-dominated area, our traditional 8 oz. cappuccino might take some getting used to compared to a ginormous caramel frappuccino, but we’re up for the challenge. While we anticipate getting very good at giving directions to the Smithsonians and explaining how the city streets work on a “grid system”, we also know being part of someone’s first DC experience is a privilege. Plus, imagine being a parent, exhausted on day three of touring a foreign city, and come to find good ol’ Pleasant Pops where you can indulge in a soothing chai latte and treat your children to a yummy and healthy pop! This new adventure has been in development for a while, and we’re so pumped to share it with you, our loyal customers who have been with us for years. While our team will be growing significantly, there will be many familiar faces at Pops 2. Aaron, our charming, philosophical and adventurous cafe manager will be taking over the new store (boo for AdMo, yay for downtown!) and many of us will be helping out, especially during the first few months as we work out the kinks any new store is sure to happen upon. Without a definite opening date on the books (because, who are we kidding, even with a date things are bound to come up) we anticipate having a busy summer at both stores, three weekly farmers’ markets, some of your weddings, and anywhere else a Pop is called for. Make sure to sign up for our monthly newsletter where you'll receive updates on the new store, invites to exclusive opening events, giveaways and lots more excitement! Older PostBreakfast: the most glorious meal of the day!